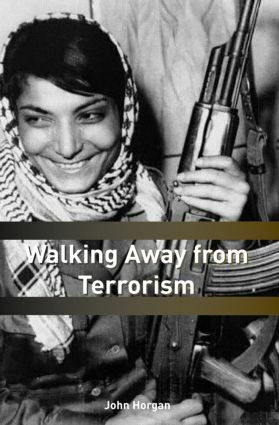 This accessible new book looks at how and why individuals leave terrorist movements, and considers the lessons and implications that emerge from this process. Focusing on the tipping points for disengagement from groups such as Al Qaeda, the IRA and the UVF, this volume is informed by the dramatic and sometimes extraordinary accounts that the terrorists themselves offered to the author about why they left terrorism behind. Concluding with a series of thought-provoking yet controversial suggestions for future efforts at controlling terrorist behaviour, Walking Away From Terrorism provides an comprehensive introduction to disengagement and de-radicalisation and offers policymakers a series of considerations for the development of counter-radicalization and de-radicalisation processes. This book will be essential reading for students of terrorism and political violence, war and conflict studies, security studies and political psychology.